HOME / PEOPLE PASSION STORIES / IN THE PAST TEN MONTHS, I HAVE SENT 320 POSTCARDS TO PEOPLE ALL OVER THE GLOBE. 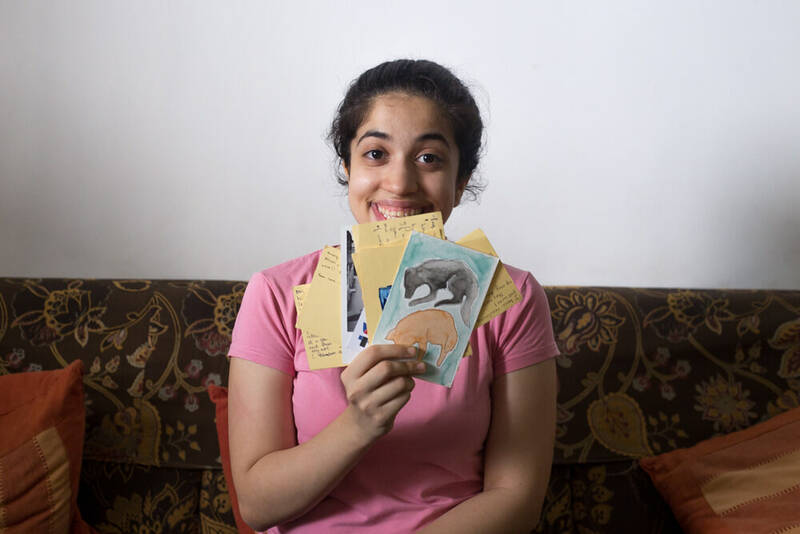 “In the past ten months, I have sent 320 postcards to people all over the globe. This project, which I have simply named The Postcard Project, started with a Facebook status and moved on to something bigger than I expected. I wanted to make people smile, reconnect with old friends, go back to the old form of communication – letters. Too many kinds of people have contacted me – from weird to curious to happy souls. I have received strange looks from the post office personnel when I asked for ‘too many’ postcards. I have been disappointed when the postcards didn’t reach. But none of that stopped me from writing more, because this makes me happy. And at the end of the day, I know that my postcard has been the reason of joy for someone somewhere.